Disney World’s newest resort, Art of Animation, had it’s grand opening recently. 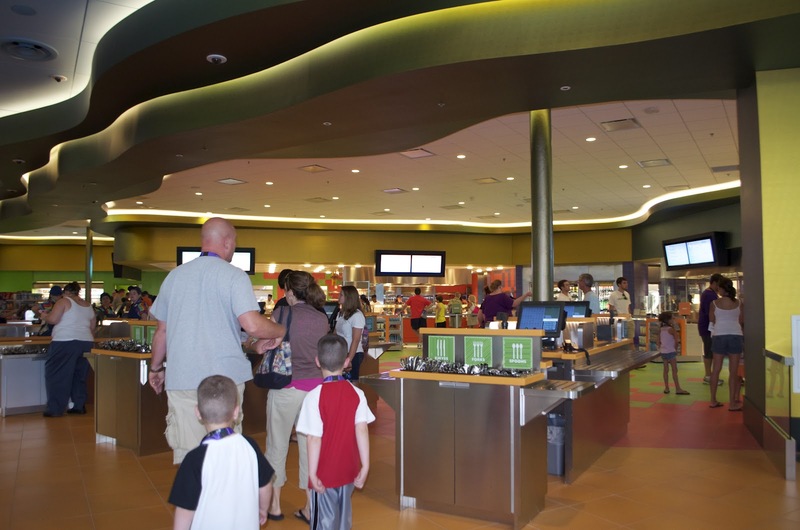 So, by default, Disney’s newest food court did as well! Picture, if you will, a landscape. Now, each feature of the landscape is something different. Rolling hills are very dissimilar from a cluster of trees and a pond is an entirely separate thing all together. What if these were represented by food categories? Now you’re getting the picture! Upon entering the area, it strikes you as a relatively normal food court, not too different from Pop Century’s across the bridge. It has the refillable drink stations and the layout is similar. With closer observation, you will see other things that are sure to make you smile! You’ll see landscapes. If you enter through the gift shop, you’ll first see a land of green seating and artwork on the walls indicative of an African Savanna. To the right is Monument Valley. My favorite section, though, is under the sea! Each section has its own unique light feature and Ariel's area came very unexpectedly! In the back, closest to the pool, is Ariel’s Grotto! It’s subtle, and I’m sure many diners miss it, but it will thrill you when you realize just where you are enjoying your meal! Oh but you’re hungry! That’s why you came here! 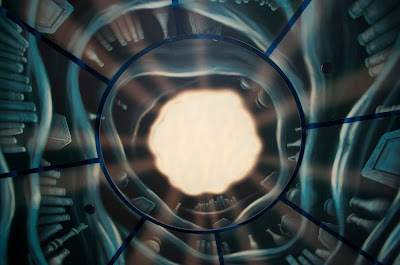 There are five stations in semi-circle to choose from, each a different part of the landscape. To the left is the grab and go area complete with pastries and a gelato station. The gelato is lovely! It comes in “just enough” portions that you can add toppings to. Beyond that is a “make your own salad”, sandwich and soup section. I could load up on all the veggies I wished for and my daughter could simply have lettuce and ranch dressing. 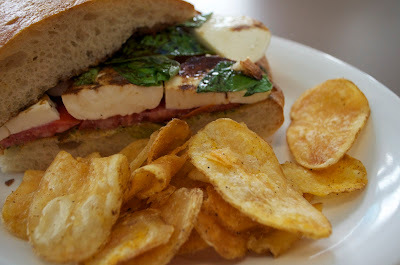 The Caprese sandwich was amazing! Next comes the Tandori section. Full of Indian-inspired flavor, this section had options from meat to fish to the vegetarian acorn squash all swimming in savory spices. The sides were delicious as well! Around the corner is a pizza/pasta station. But the best part is the “make your own” pasta! You pick your pasta, sauce, meat and toppings to create your very own dish! I think I’m going to try this at home! Last, but certainly not least, is the burger section. I know we all get burger bombed while visiting theme parks, but this is not your average burger joint. Sure, you can get a “normal” burger, but why would you when there are so many tempting options like a pastrami cheeseburger, surf and turf burger or a homemade veggie burger? The food was a hit for us! It wasn’t for everyone though. I witnessed two ladies who were trying to order the veggie burger until they realized it contained eggs. These ladies were vegan and nothing seemed cut out for them. The chef personally gave them a tour of the Landscape, explaining what their options were. I can only imagine that, if the chef was this eager to please these ladies, he would be at least equally willing to help out a child with allergies or a gluten intolerance, for example. In fact, this exuberance was seen in all the cast members around the Art of Animation Resort! Sure, some of it comes from the excitement of the grand opening, but I think a good bit stems from being sincerely animated about this place, with its innovation and uniqueness! 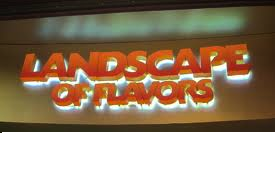 When you do stop by Landscape of Flavors, be sure to meet Peter. Even though all the Cast Members made an impression on me with their enthusiasm, Peter was a joy every moment (he must sleep WELL at night). Seek him out! He’ll be sure to tell you a joke or just simply make you smile! This food court was so well thought out. It was not crudely thrown up to meet a need with simple, unsavory food choices like many food courts we see. 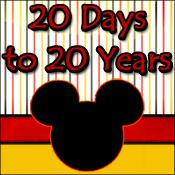 It has been molded and researched and practiced to give us, the Disney guests, a Landscape of Flavors. Disney Fantasy Rides has a lot to offer on cool experiences.